If you need a loan for any reason, and you’re pretty certain that you won’t qualify for a bank loan, there is another option available to you. A bank is not the only option for a personal loan. A lending company may approve you for a car title loan, which allows you to leverage the value of your car. If you have an immediate need for funds, this type of loan is your best bet. But like any type of loan, you need to borrow responsibly. To avoid any financial problems, only borrow what you need. 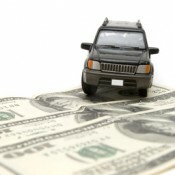 With a car title loan, the lending company will typically loan up to a certain value of the automobile. But just because you qualify for a sizable amount doesn’t mean you have to accept a bigger loan. Be sensible and know your limitations. Car title loans are extremely helpful, but remember that eventually you have to pay that money back. Don’t think that a title loan works exactly like a bank loan. The process is similar, but there are key differences. For example, make sure you know which documents are required with your application. This can vary according to the lending company. For example, one company may simply require a copy of your driver’s license and the car title. However, another lending company may require proof of income to verify your ability to repay the car title loan. A car title loan typically requires less paperwork than your traditional bank loan, and since these loans do not require a credit check, they are easier to obtain. Lending companies offer flexible repayment terms. If you’ve ever applied for a payday loan, you probably recall having to repay this loan in full within 14 days. Well, there’s good news if you apply for a car title loan. Because these loans are typically more than your average payday loan, they feature a longer repayment period. For this matter, the lending company may give you several months to repay your loan. But you can always repay the loan early. The sooner you repay the lending company, the better. Early repayment reduces how much you pay in interest. Like any other loan, make sure you fully understand the terms before signing the agreement. Because car title loans are fast and convenient, they don’t offer the most desirable terms. For example, these loans have higher rates than most personal loans. If you don’t understand the terms of the loan, or if you’re not comfortable with the terms, do not sign the agreement. Loan terms include the repayment schedule (weekly or bi-weekly), required amount for each payment, the interest rate, plus other fees. There is no reason to be afraid of a car title loan. If you need a major car repair, a home repair or money for bills, these loans can come to your rescue. Be responsible, know the terms and develop a strategy to pay off the loan early.